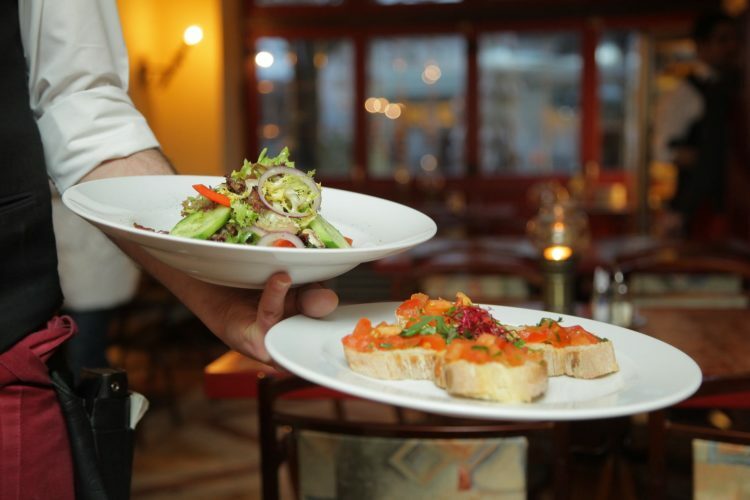 A fast-paced environment is a common feature of any restaurant and it’s a fact that you will be on your feet most of the time without a short break in your working day. Whether you are a waiter, server, bartender or a manager, these types of jobs are really challenging and tough as well as you have to move to and fro to serve your host. Working on a food service industry and running on a slippery, wet floor wearing wrong shoes may create unexpected occurrences along with a serious injury. If you are looking at the best shoes for waitressing, in this article you will get a clear concept on the best shoes for waitresses. So let's dig a little deeper here. After extensive research, our team has come up to the following list of great shoes which are, by far, the best shoes for waiters and waitresses to work and serve in a restaurant. Merrell is a very kind of prestige, well-known high-performance shoe brand. Innovative style and comfortable wear make them a popular brand. Jungle Moc by Merrell is one of the simplest, comfortable and long-lasting Servers’ shoes with rubber sole. The little black back pulls to help the shoe go on the sports shoe alike touch. As it is originally intended as an outdoor shoe, it provides you the secure grip of its 3 mm lug depth. And it will keep your feet firmly on the ground while your busy working day as well as the rough trail for hiking. There are some varieties on the surface with the mixture of leather and suede materials, but the sole is made from the rubber with an air cushion heel for ensuring the ultimate comfort. This one will be an intelligent pick for a mid-range budget with excellent high performance for long-lasting use without any major maintenance. The PTC Oxford from KEEN features a slip-resistant outsole with excellent performance ensuring maximum comfort for the people who work hard incessantly. The surface portion is made from water-resistant leather that allows wipe-clean feature for the users. The PTC Oxford provides soft toe built that protects your Toe even in a tough condition. A combination of recycled PU (polyurethane), cork, and memory foam that contours your feet and synthesize for the perfect cushioning throughout the day. The oil and slip-resistant, non-marking rubber sole keep your shoes on the ground allows you a boosted confidence level to provide the best service to your valuable consumers. Aside from the safety and durability, A five-eye lace closure adds a professional look along with the adjustability and has become one of the best women's non-slip restaurant shoes. The Dansko Professional, by its name, suggests that these shoes are for such professional who has to work for a long shift and standing on their feet and need a comfortable and durable one. This women's non-slip walking shoe features a gorgeous embossed design with a leather’s made upper surface. This Dansko clog has all the comfortable features as the brand does. 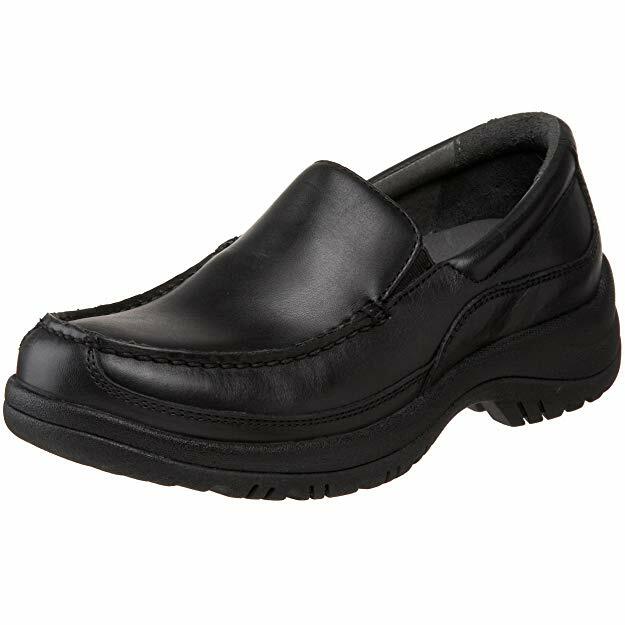 It is one of the best non-slip shoes for servers providing the arch support along with keeping the feet firm and a contoured midsole with shock absorption capacities allows a real comfort indeed. Besides, a polyurethane rocker slips resistance synthetic sole and roomy toe box ensure the protection of your feet, legs, and backs from the stress of standing and walking with the pleasant user experience. Dansko provides numerous pattern and color choices you to present yourself with a stylish look. Whether you are in a professional meeting or in a casual hangout, the dansko leather loafer will be an outstanding choice and it will suit you at any situation. Moreover, it features water-resistant leather uppers and non-slip outsole that allows a continuous wearing specially for the best shoes for waiters. This one is a dapper, caring slip-on shoe which will give you a better grip on dry, wet, oily or Slippery surfaces in your working period. This loafer is available with gorgeous Mocha or Black color that boosts your confidence level during serving your guests. The midsole is made from PU that provides additional cushioning as well as sudden shock absorption. It contains Tuckboard with the riveted shank that allows high stability, control, and additional support to the users. Slip-resistant Nitrol rubber sole with great finishing keep your footing secure and comfortable in a wide range of conditions. If you are looking for a restaurant shoe that will cover you both slip resistance and formal appearance, then Dockers men’s Gordon leather will be the right choice. 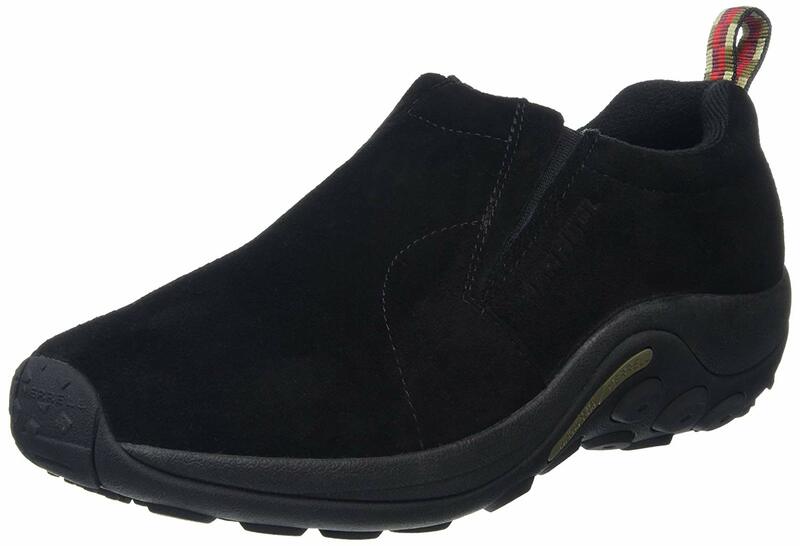 The dockers Gordon work shoe are one of the best slip resistant shoes for men features comfortable and protected for day-long use with a professional appearance. Rubber sole with polished full grain leather uppers and padded collars add an extra layer of comfort for the users. The dockers Gordon allows you a normal foot function and promoting good foot health and the siped rubber outsole protect you on a dry, wet, greasy Slippery surface. You can wear and use this traditional dressy shoe for both professional and casual hangout. However, dockers Gordon will be a good choice for its durability and comfort for wearing a long period as well as the best non-slip work shoes for plantar fasciitis. Jackson loafer is another exclusive restaurant shoes from the Dansko and these shoes are perfect for formal or casual set-up. Water resistant leather for uppers and the synthetic sole provides a secure and reliable use for your daily tight schedule. The Jackson loafer is suitable for the people who perform a long-time work schedule on foot for its excellent support and legendary comfort. This one provides you a comfortable experience with a removable triple-density EVA footbed with tpu arch. midsole from Molded EVA provides instant shock absorption and energy return to avoid injury. The outstanding Slip-resistant rubber outsole is suitable for any condition like dry, wet, greasy and Slippery surface. Looking for the best non-slip shoes for the restaurant with cheap price and maximum comfortable use? Don’t Look further! 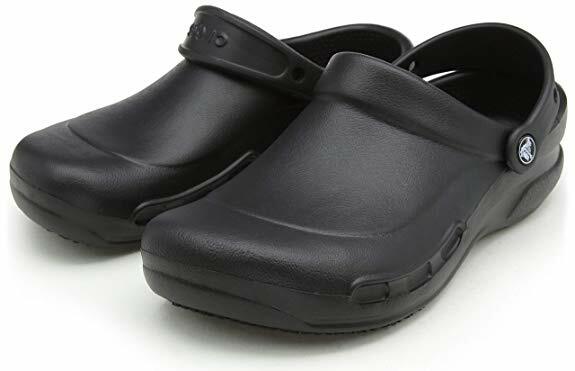 Crocs have become one of the major comfortable footwear brands so does these Bistro Clogs. Though the appearance of the shoe is a little bit weird with a limited version of uses, the non-slip sole allows you a rough use and lasting up to a year. 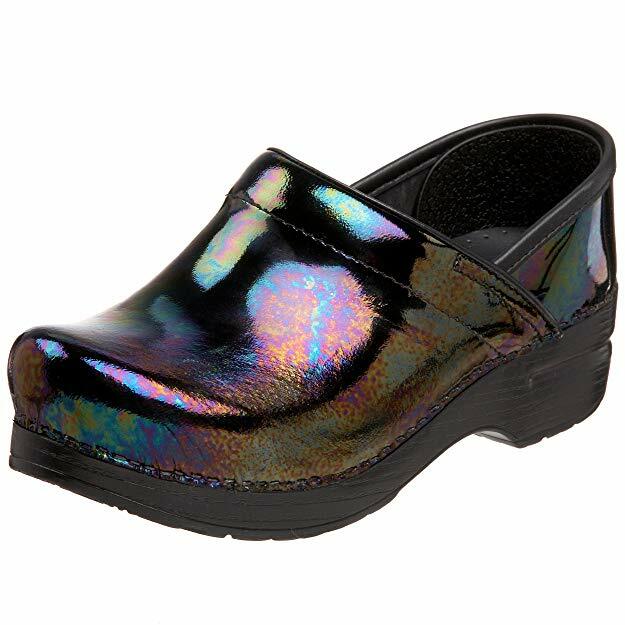 Bistro Clogs are designed especially for food service, hospitality, and healthcare workers who have to work for a long time. These are very light and supportive one ensuring the best comfort even in the longest shift of your duty. These Servers’ shoe is waterproof and available with the variation of graphics allowing you freedom of rough use. The slip resistance synthetic sole with the wipe-clean convenience makes it exclusive to the users. The presentation is a crucial factor in the servicing sector, especially for the restaurant related service. By wearing elegant Servers’ shoe, you can create an aesthetic appeal from the customer's end. Ultimately, it will help to create a positive idea for the customer about you as well as the restaurant. So, you should choose a shoe considering both the appearance and the comfort as you used to perform a day-long schedule. If you are going to carry out your tasks efficiently and with a smiley face, you should have non-slip walking shoes and water resistance leather uppers. A greasy and wet floor is a very common phenomenon in the restaurant and you can’t avoid it. So, it would be wise to select a shoe keeping the word non-slip in mind. If you are on your feet for a long time continuously, it can take its toll. As the balls of your feet start burning, toes might be aching or something like that. That’s why you should look out the shoes with better cushioning facilitates. Another point is heel support. Consider a Servers’ shoe that contains mid-sole providing instant shock absorption allows you a comfortable standing and walking experiences. For those who have feet problem and need extra support, may require additional shoe insoles for proper comfort. Besides the aesthetic appearance, you must be ensured that your shoe is comfortable and secure to wear for day long working schedule. Without a comfortable one, you can’t even perform your regular and daily job with proper satisfaction. Durability matters as well as quality. If you buy a Servers’ shoe with low quality, it won’t be long lasted and create a negative impact on your feet. Personality can be measured by the way of dressing. Maybe you have an award-winning chef or a group of experienced waiters. But without a proper dress code, you can’t reach the pick of your desired success level. You have to ensure the aesthetic dress code for the front-line workers as well as for the backend workers ensuring proper safety and hygiene. Choosing the best shoes for the people who are working on their feet most of the time is a little bit tricky process. First of all, ensure the shoe is comfortable to wear and slip resistance from dry, wet, greasy or slippery floor. Then search for the special feature like the arch supporting or memory foam insoles, leather made uppers, rubber made sole, cushioning, durability and others feature offering by the manufacturers. However, you can make your choice based on the design, appearance, stability, customer review and the price. Consider your working environment before buying your intended one.